Control a server or PC remotely over the Internet, with virtual media remote file copying and installation. 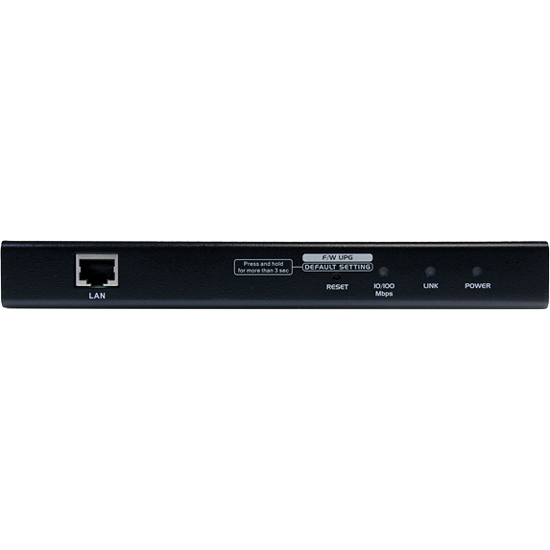 The SV1108IPEXGB 1 Port USB PS/2 Server Remote Control IP KVM Switch with Virtual Media lets you control a USB or PS/2 server remotely over a LAN or the Internet. 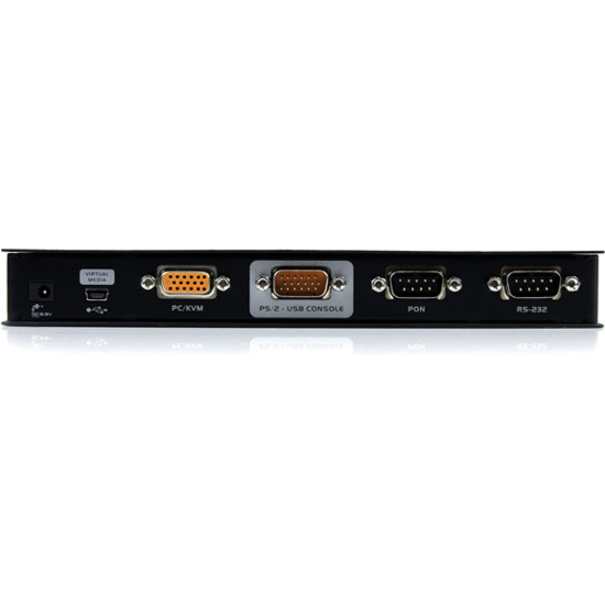 The 1 port KVM over IP includes all necessary KVM cables, and offers KVM control from the BIOS-level onward. Reboot, monitor the entire boot process, and interact with your connected system easily. RS232 support also lets you connect to a serial console device via Telnet or SSH. Virtual Media lets you execute files via USB from the remote console as if they were local to the connected server. Perfect for remote driver updates, patches, application or OS installation. 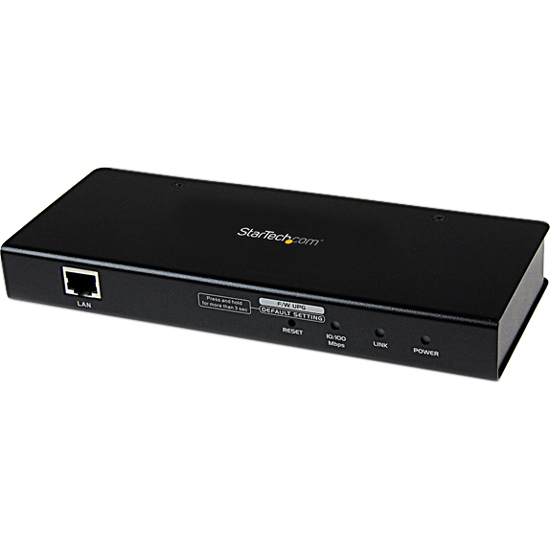 The Java-based browser utility ensures the IP remote control unit is compatible with many current web browsers, and almost any operating system on the market. Multiple integrated security features ensure a reliable single port IP KVM connection, including password-protection, IP/MAC address filtering, external authentication (RADIUS, LDAP, LDAPS, Active Directory) and advanced encryption (56-bit DES, 168-bit 3DES, 256-bit AES, 128-bit RC4).